Little Athena and Persephone travel to meet the great and powerful Zeus in this Wizard of Oz inspired Little Goddess Girls story—part of the Aladdin QUIX line! After dropping onto the Hello Brick Road, little Athena and her new friend, the flowery Persephone, are on their way to meet the great and powerful Zeus at the top of magical Mount Olympus. 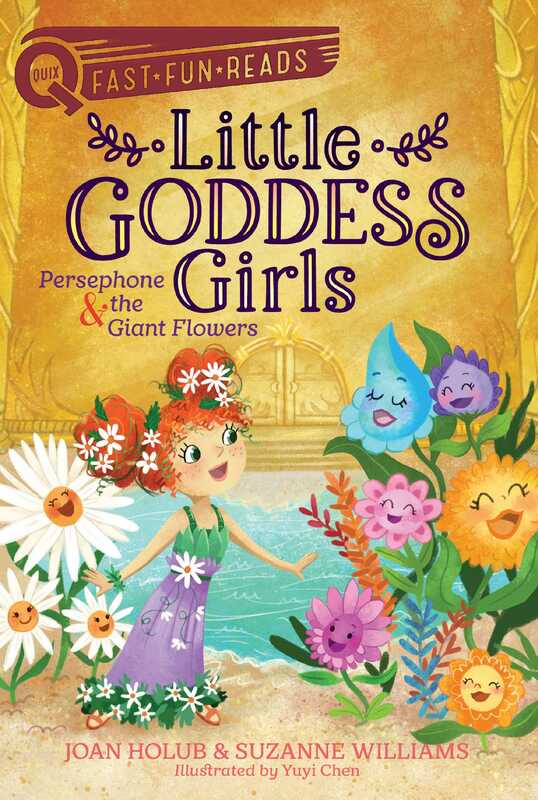 While Athena is looking for help getting back home, Persephone would love to have Zeus cure her bad luck-itis and give her the gift of good luck so she can help her favorite flowers grow big and strong!